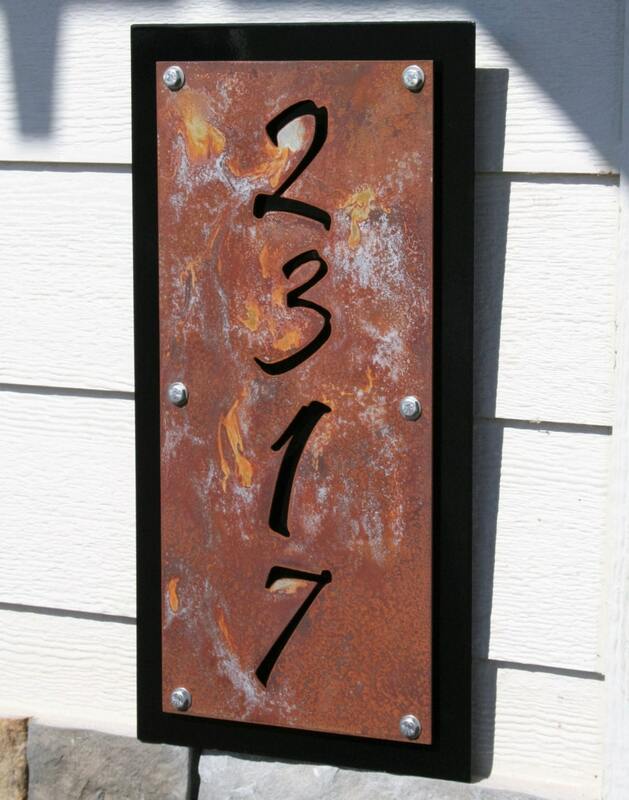 Rustic house numbers are a stand-out! Unique design! 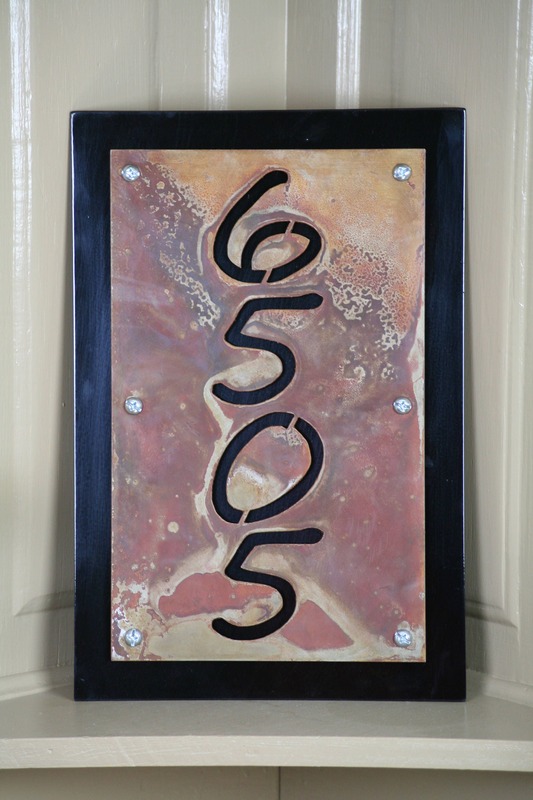 Backing plate is cut from lightweight steel and powder coated black for a clean finish. 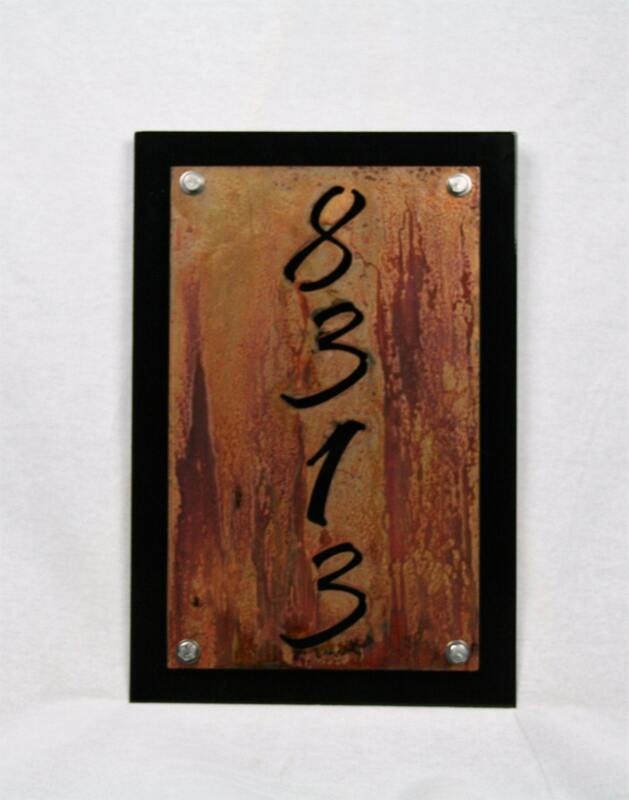 It's safe to hang against any surface without scratching or leaving residue. 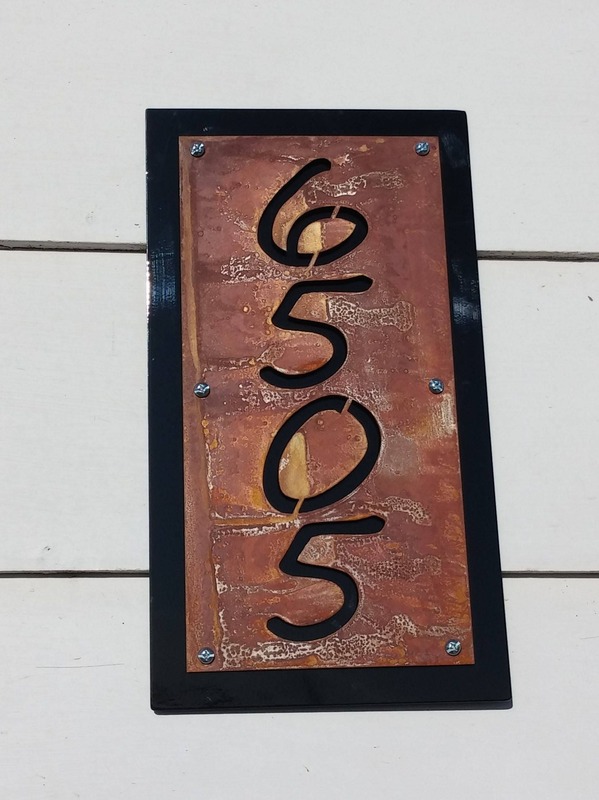 Rusted number sign is cut from steel just thinner than a nickel. It's attached permanently to the backing plate with stainless hardware. 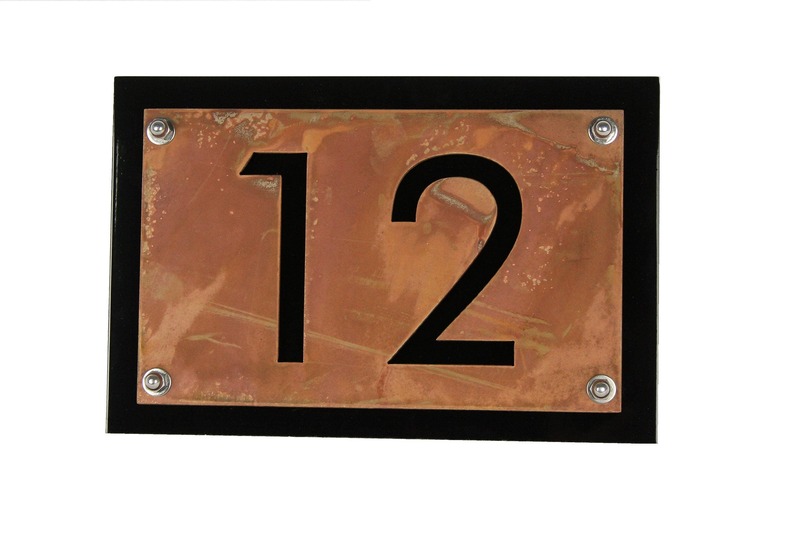 Makes a sturdy indoor or outdoor sign. 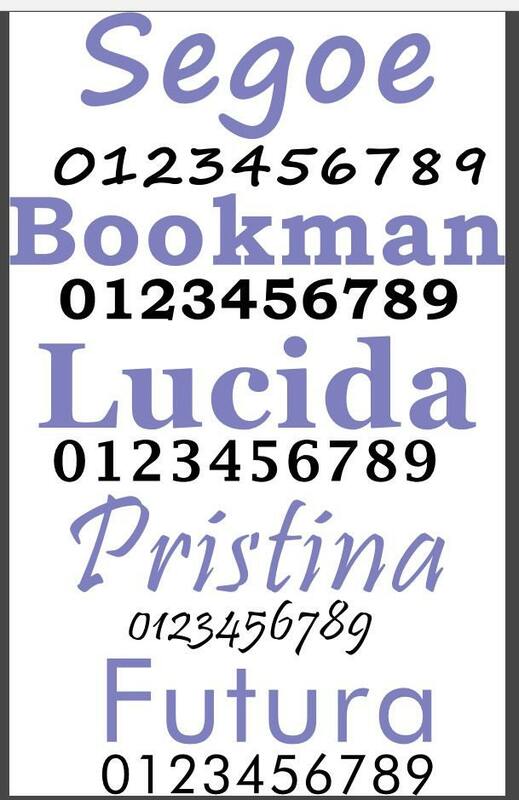 Choose from 5 text styles as shown in final photo. Example photos are shown in Pristina, Futura and Segoe. Choose your dimensions from the drop-down menu. Your text will fill the space for the size you choose. Excellent correspondence, arrived quickly, and AMAZING sign! We couldn't be happier (and we are incredibly picky so that says a lot)! Wow. Pictures do not do this justice. 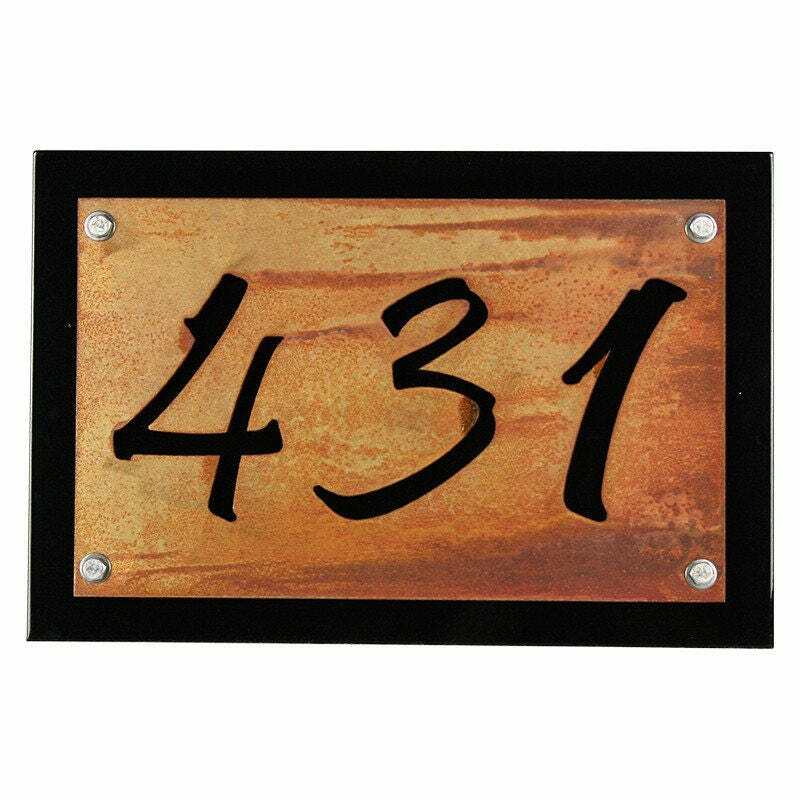 I'm sure to have the prettiest house numbers in town!! 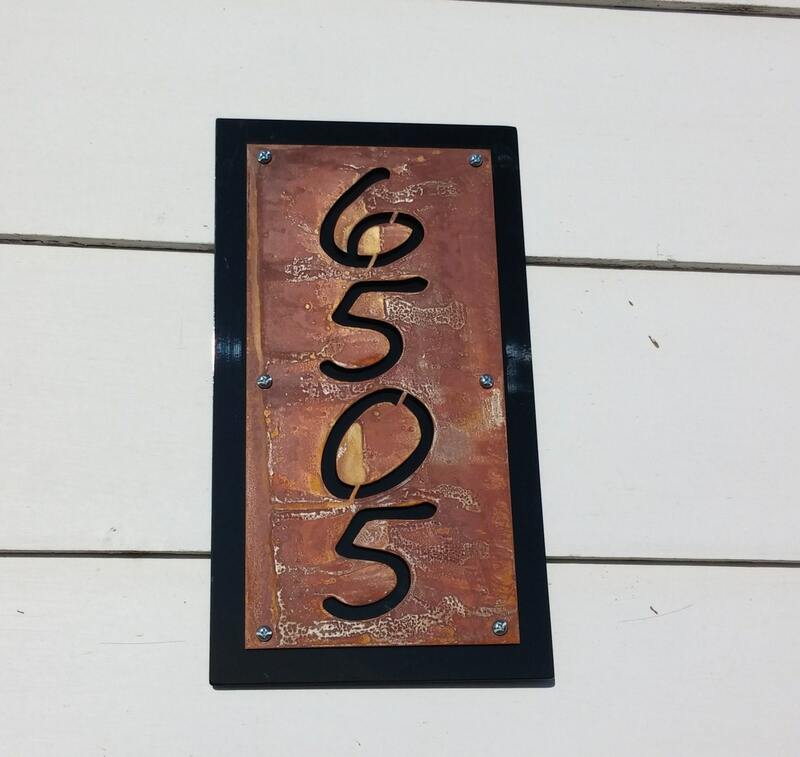 We love our new address number sign! Great communication and arrived fast. Thank you.